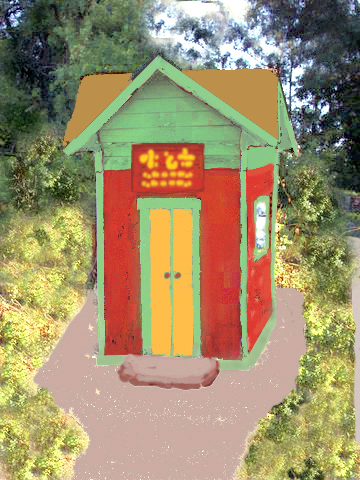 As part of the renovation of the Burgess Bus Stop into a fully equipped church, and in keeping with our mission as an interfaith organization, we decided to use a colour scheme that would evoke the historic Cantonese Chinese temples of early California and the West. 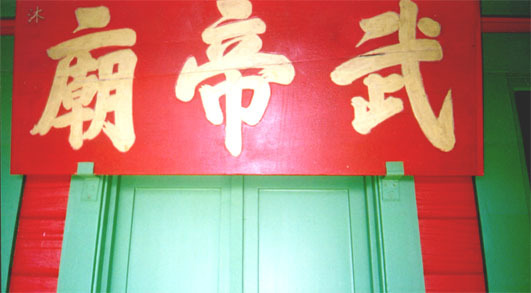 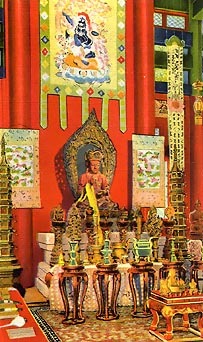 These Taoist religious shrines were called Joss Houses by the Portuguese fishermen who settled along the California Coast -- "Joss" being an English sound-alike for the Portuguese word "Dios" or "God." 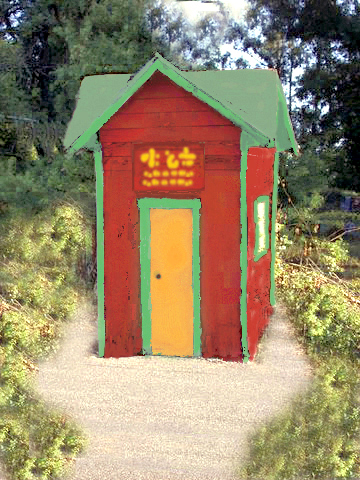 The name Joss House is still used to describe the few remaining 19th century Chinese Taoist temples in America, all of which have been granted historic landmark status. 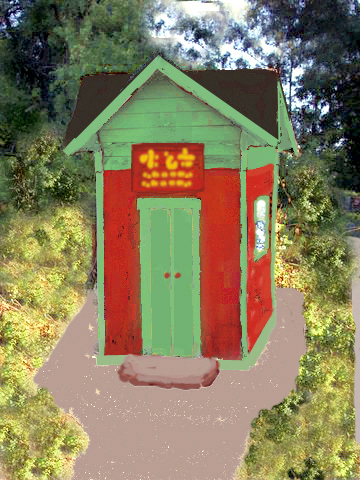 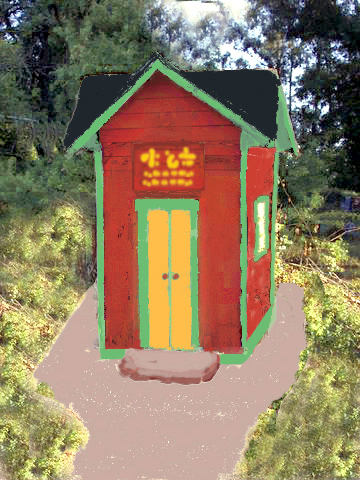 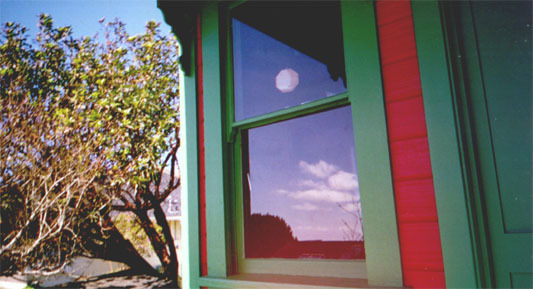 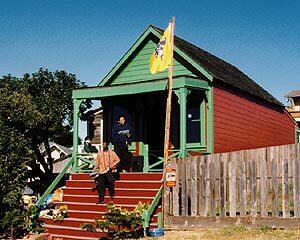 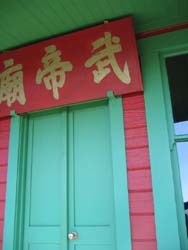 We modelled our colour scheme on a familiar favourite Joss House, the Mendocino Joss House in Mendocino, California, built in 1852. 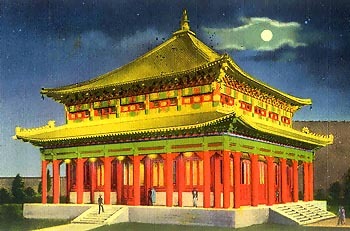 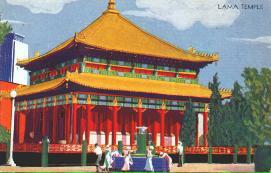 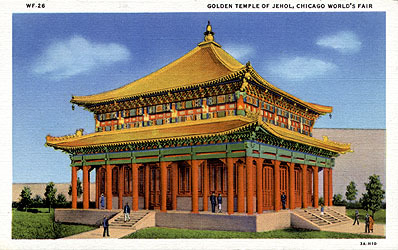 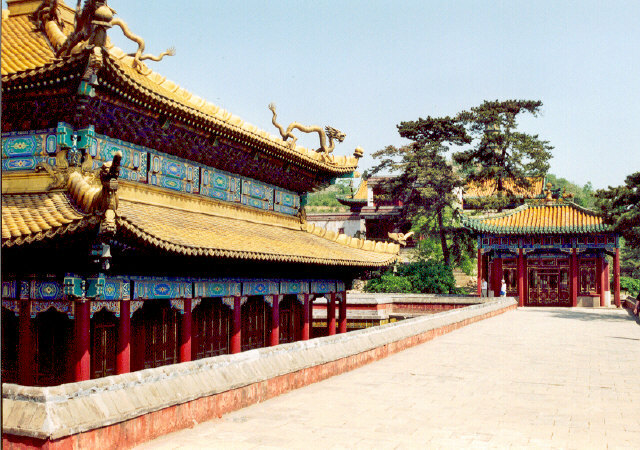 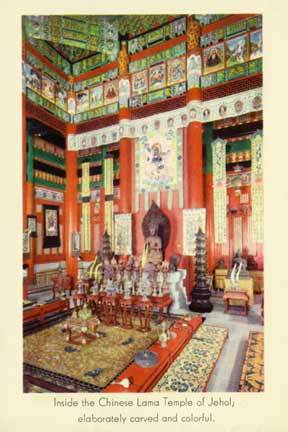 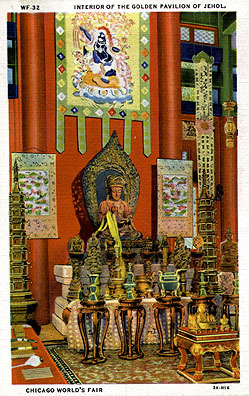 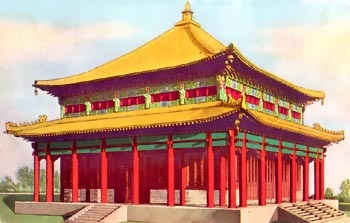 Using those colours, and the colours of the Chinese-built Bendix Lama Temple exhibited at the 1933 Chicago World's Fair, we created a series of colour schemes and, throughout the latter half of 2006, we invited our supporters to vote on the one they liked best. 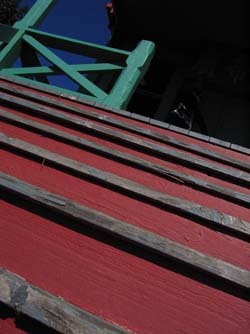 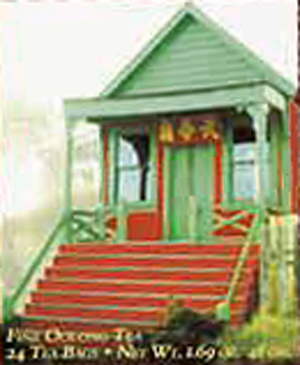 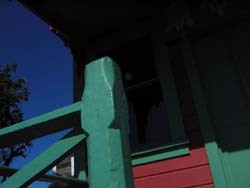 The result, a vivid red, green, and gold church with a black roof, is what resulted.